We pay the shipping costs on this item! No charge to you for delivery!! 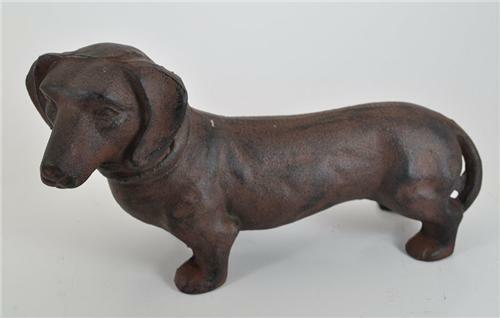 Our 2011 Closeout Inventory brings out this VERY HEAVY Cast Iron Dachshund Weenie Dog Doorstop Figure. Very vivid with the rusty look and virtually indestructable in construction. It has that Old and Early Antique Decor appearance! Very heavy at just over three full pounds! Weight: 3 lbs & 4 oz.